The Algeria-backed Polisario separatist group suffered another major diplomatic blow in Latin America when its so-called “representative” in Panama was expelled and barred from attending power transfer ceremony between outgoing executive board and the newly elected managing officials of the Central American Parliament (Parlacen). 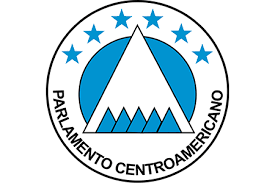 The party crasher was Ali Mhamed Mbarek who tried to sneak in the Parlacen event without invitation, while Morocco is a permanent observer member of this parliamentary body of Central America. After he was spotted by members of the Moroccan delegation attending the ceremony, they alerted the Parlacen officials who removed immediately the unwanted attendee, showing the Polisario’s political plight in Latin America. Few days ago, the Peruvian authorities expelled Khadijetou El Mokhtar, a fake envoy of a phantom entity. Peru has suspended its diplomatic relations with the so-called SADR since 1996 and has no intention to resume these relations with a phantom self-proclaimed entity. What happened to Mhamed Mbarek in Panama and to Khadijetou in Lima show the success of Moroccan diplomacy in Latin America where the Polisario and their Algerian supporters used to have a free reign before Morocco’s strong comeback in this region. These embarrassing cases for the Polisario should sound the alarm bell for the secessionists who are being increasingly isolated while Morocco’s influence is growing in Africa, Latin America and elsewhere in the world.